Folks, this year's auction is really shaping up nicely!! THIS WEEK IS YOUR LAST CHANCE TO PURCHASE TICKETS!! Get your tickets right now. Right here. Don't hesitate, because on April 5, it will be too late!! Whether or not you can attend our upcoming April 12th dinner auction, you can start your bidding now. 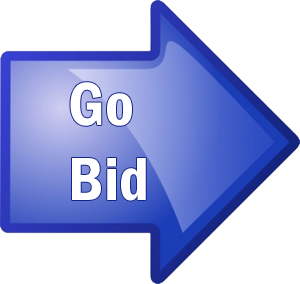 Take a moment to peruse the list of auction items. It lists the live and silent auction offerings, and there are quite a few. They skip around, so give them all a quick skim - there might just be something in there that you've been looking for recently or something you didn't know you couldn't live without! Be sure to forward this email to family and friends-anyone can bid! Don't forget Father's and Mother's Day gifts! Thinking about a vacation? How about summer camps for the kids? New items are being added to the list each day! II. Review & Approval of Minutes – Minutes from the 2/7/14 meeting were reviewed. A motion to approve the minutes reviewed was made, seconded and carried. Minutes - reviewed. Laura mentioned she realized she had forgotten to make her 3rd installment of the donations, wondered what follow-up was done to connect with other families that need to complete pledges. III. Finance Update – Helen reported that the Boosters are currently operating at a loss. The bulk of our expenditures have already occurred, and at this time, it seems very likely that the Boosters will break even for the year. There is a decent balance to accommodate the cash flow needs, but it would be preferable to have a larger cushion. CIMI came in higher than was budgeted, and that will have to be taken into account for next year's budget. Helen will talk to Mrs. Serafin and Janet Crabb about that budget. Helen reported that pledges from parents for the year are at 98% collected for 6th grade families, 81% for 5th grade families and 4th grade families are at 74%. Deposits for next year's trips are going to come due soon. It was recommended that someone should try to get the pledges for next year started before this school year is done. T-shirt sales were budgeted to make $1000 but it appears that we have lost $600. Helen needs to work through the numbers to see what happened. Laura Cooper will help find out what the expenses are, and what outstanding invoices there may be, for assemblies. IV. Principal's Report – Mr. Block reported that the Innovation Exploration Initiative presentation was very successful, as well as Open House. 4th grade – Vanessa reported that there were no needs from Mr. Crabb. 5th grade - Kurt reported that the 5th graders had just recently returned from Yosemite, and they all had a great time. 6th grade – Morgan was unable to attend. Open House – Was on March 5th - Helen reported turnout was great and she believes there will be lots of new families next year. Dan Block believes he will have a good idea on new numbers within about two weeks, but we probably can't get the info soon enough to get the word out about the auction to prospective families. Dan said we could get the e-mails of parents that attended the open house, in order to try to get information out to them. International Day - March 14th. 14 countries will be represented. Book Fair - March 10-14, in the afternoons. Kimberly W needs volunteers. Jessica asked if more than one volunteer is needed at the time zones. It was noted that slots for right after school could use two or more people. 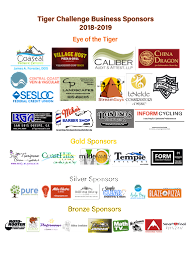 March-a-thon – The event is being held on March 21st, and is on track with sponsors. Dinner Auction – Randi noted that they are doing fairly well on receiving donations, and there are some really good items being offered. Right now the push is to sell tickets to get higher attendance. Ideas for how to improve ticket sales were discussed. There is also a plan to do an online auction as well, to improve sales. VII. Open Forum – Succession planning - planning for next year's board should start soon. Helen would like to put together a group to work on getting candidates for next year's board positions. Per bylaws, elections are supposed to be held on the 1st Monday in June. Vanessa R asked who the art teacher is because she knows of a $2500 grant available from the American Institute of Architects, but an art teacher has to be the one to submit the request. Helen will talk to someone about getting the grant submitted.